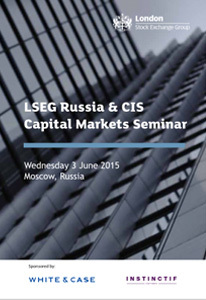 The London Stock Exchange is delighted to invite you to its Annual Russia & CIS Seminar taking place in Moscow on 3 June. This seminar will focus on the current market environment in the region, including investment flows, growth forecast and access to capital markets. We have invited key industry experts to lead a series of panel discussions covering all aspects of primary and secondary markets. The seminar is aimed at 50-60 senior executives of the Russia & CIS private and public companies. Attendance is free of charge and by invitation only. To find out more view the agenda here. 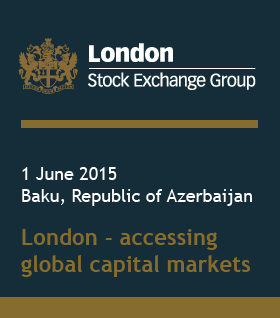 For further information please contact LSEG team here.